BP Visa® Credit Card: Should You Apply? A decent credit card for those who spend a lot on groceries, dining out, travel and gas at BP stations. The BP Visa® Credit Card is a decent gas card with solid rewards on everyday purchases. That means it can be worthwhile carrying and using it for your day-to-day expenses. The card can give you a return between 2.25% and 3% on groceries, dining out and travel. Plus, anytime you use it at the pump in a BP station, you get between 3.75% and 5% back in rewards. Note that you will not earn any cash back when you use the card at non-BP stations. While high, these rewards may be outdone by other cash back credit cards. It all depends on your individual spending habits. How does the BP Visa® Credit Card Compare to Other Credit Cards? The BP Visa® Credit Card provides cardholders with decent rewards on groceries, travel, dining out and gas purchased at BP stations. Rewards rates can reach 3% and 5% respectively, whenever you purchase up to 20 gallons of gas at a BP station. You can also use your points to get statement credit back, though this will cause your returns to drop slightly – 2.25% on travel/dining/groceries and 3.75% on gas at BP. Regardless of how you use your rewards, the BP Visa® Credit Card still provides very good value, even when compared against top cash back credit cards, like the Chase Freedom®. 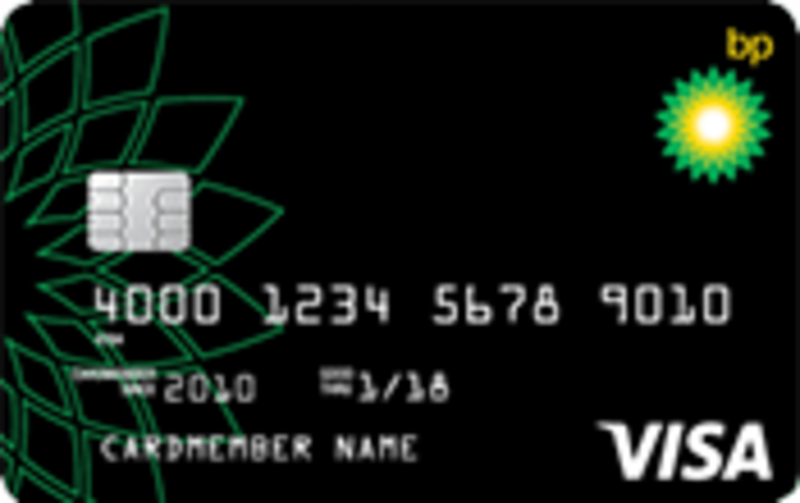 The weakest part of the BP Visa® Credit Card is its bonus. The card effectively gives users 5% back on all purchases for the first 90 days. Most decent cash back credit cards give you a $100 bonus for spending $500 within a similar timeframe. You’d need to spend at least $2,000 with the BP Visa® Credit Card to match that reward. While the bonus this card gives you has unbounded potential, you would need to spend an extremely high amount of money to really make it worthwhile. This is something that might be impossible, depending on what your initial credit line is. Bottom Line: No matter what form your rewards take – gas discounts at BP stations or statement credit – the BP Visa® Credit Card can give you decent saving. If you’re a frequent BP customer, this is a very good option for you. However, as always, you should keep your options open as another card has the potential to give you even greater savings. The BP Visa® Credit Card rewards its users in the form of discounts on gas purchased at BP gas stations. Users earn a 5% rewards rate when using the card at the pump (only at BP stations), 3% rate when used for dining, travel, and grocery purchases, and 1% everywhere else Visa is accepted. Note that you do not earn any rewards when the card is used at non-BP gas stations. Additionally, there are two bonus ways to earn rewards with the BP Visa® Credit Card. During the first 90 days your account is open, you earn $0.25 per gallon for every $100 you spend. That effectively translates to a 5% rewards rate on all purchases. You would need to spend roughly $2,000 during those first 90 days for this bonus to be comparable with an average cash back credit card bonus. At the same time, the other bonuses on other cards usually only require far less spending to reach the same rewards. Right now, this card also comes with a limited time offer. If you sign-up for the BP Visa® Credit Card by 1/31/2017, and use it to make a purchase at a BP location within 60 days of account opening date, you can earn a $20 statement credit. How Do the Rewards on the BP Visa® Credit Card Work? The rewards on the BP Visa® Credit Card work as follows: you get some amount of money off each gallon of gas, for every $100 you spend. For example, you get $0.15 off per gallon for every $100 you spend for eligible groceries, dining and travel. That discount applies on up to 20 gallons. Therefore, if you spend that $100 on travel, the most you can get out of it (in terms of rewards) is $0.15 x 20 = $3. The rewards can be either redeemed at the pump, or used as statement credit. However, using them for statement credit isn’t as profitable. Your total accumulated rewards are multiplied by 15, instead of the maximum of 20 at the pump. That means when used for statement credit your rewards rate can be 3.75%, 2.25% or 0.75% -- depending on where you shop. How Does the BP Visa® Credit Card Compare Against Other Credit Cards? We compared the BP Visa® Credit Card to a handful of other offers that can give you savings on gas, groceries and dining out. The Chase Freedom® is one of ValuePenguin’s favorite cash back credit cards. It can provide big rewards on a host of different categories, including gas, dining out, and Amazon.com. The Chase Freedom® gives 5% cash back on up to $1,500 in combined purchases in bonus categories each quarter. Once that limit is reached, the card gives just 1% back. There are good and bad things about the changing categories. On one hand, not being locked into a fixed rewards structure gives you more opportunities to earn cash back – this can be great for people who shop around at a lot of different places. On the flip side, this requires you to keep an eye on what the categories are, if you ever hope to optimize your cash back rates. Depending on your level of comfort with this ambiguity, the Chase Freedom® may or may not be better than the BP Visa® Credit Card. The Blue Cash Preferred® Card from American Express is a great credit card for those who shop at supermarkets as well as gas stations and department stores. The card earns users an unparalleled 6% cash back at U.S. supermarkets, up to $6,000 per year in purchases. Beyond that, users can get 3% back at U.S. gas stations and select U.S. department stores – that includes J.C. Penney, Macy’s, and Bloomingdale’s. The BP Visa® Credit Card is better than the Blue Cash Preferred® Card from American Express when it comes to rewards on dining out (2% vs 1%). While the rewards on gas are also not as high, you aren’t limited to one particular gas station, as you are with the BP Visa® Credit Card. One downside to the Blue Cash Preferred® Card from American Express is its annual fee. The card costs $95 per year to keep around (See Rates & Fees). Therefore, you need to make sure you’re getting enough out of it to justify that price, especially since there are plenty of credit cards without an annual fee – including the BP Visa® Credit Card. For rates and fees of the Blue Cash Preferred® Card from American Express, please click here. The Costco Anywhere Visa® Card by Citi is one of the top gas credit cards, so long as you shop at Costco. The card gives users 4% cash back on eligible gas worldwide, including gas at Costco, for the first $7,000 per year in gas purchases. Additionally, cardholders earn 3% back at restaurants and on travel, and 2% back at Costco. All other rewards net a 1% return. The Costco card allows users to receive their rewards as a certificate mailed to them once per year. To those who don’t mind waiting a year, this can be a lot more convenient than trading your rewards for gas discounts. The Costco Anywhere Visa® Card by Citi is only open to individuals with a Costco membership. We built a calculator to help you figure out the value of rewards based on how you spend. The model quickly and automatically calculates your estimated earnings by applying your spending profile to the reward structure of various offers.